Don’t you just love a good joke? As a culture, we sure seem to enjoy humor. Many of the top TV shows and movies are ones that make us laugh. Newspaper editors confess that they can change news coverage with barely a whimper from the public, but mess with the cartoons and there’s an outpouring of opinion! What makes a good joke? During my doctoral studies, I had an entire seminar on humor in literature – no, it wasn’t very funny – analyzing why some things are amusing and others are not. It appears that humor typically arises from the unexpected. A story progresses normally, then suddenly takes an unexpected turn. A good joke involves a surprising twist; a great joke catches you flat-footed. In that sense, Easter is the greatest joke in history – not because it isn’t an authentic historical event, but because it caught everyone by surprise. The resurrection of Jesus was the surprise ending of Holy Week – the unexpected twist that caught everyone off guard. His disciples certainly didn’t see it coming. In the hours after His crucifixion, they huddled together behind locked doors, fearing they would also be arrested by the religious authorities. Three years with Him had come to this: fear, loss, despair. Then, suddenly, He was there among them! The one who had died and been buried three days earlier now stood in their midst, and they were shocked – then, in the words of C.S. Lewis, they were “surprised by joy.” The joke was on them! Easter was also a joke on His accusers. They thought it was over, and that they had won. This would-be messiah was out of their hair, never again to question their authority or ridicule their self-righteousness. So they laid their heads on their pillows Saturday night, secure in their confidence that this Jesus movement would soon be forgotten. Perhaps Satan himself laughed with devilish glee as he watched Jesus’ head fall onto His chest, the last breath leaving His body on that terrible Friday afternoon. “We have won!” he cried, and the demons echoed his victory shout. On the battleground of the cross, they had defeated God’s love. But the joke was on them, for early on that first Easter morning, the forces of evil that sent Jesus to a cross now encountered a glorious, risen Christ who had conquered death. It was the great 4th century preacher John Chrysostom who, in an Easter sermon, portrayed the risen Christ laughing at the devil. On Friday, evil chuckled at its apparent triumph, but on Sunday the tables had turned. The Divine Surprise had been revealed, and history would never be the same. During World War II, a London church was celebrating the harvest season and a time of thanksgiving. 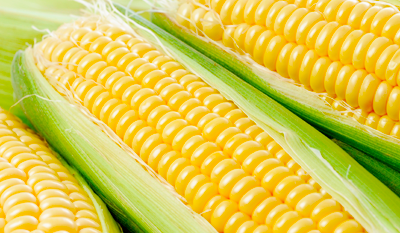 In the center of a decorative display were some ears of corn. The services were not held, however, because before the time of the service the air raid sirens sounded, and German bombs left the church building in ruins. Months went by, and as spring arrived onlookers noticed among the ruins a patch of green shoots. As summer approached, those shoots grew taller, and soon there was a flourishing patch of corn growing amidst the rubble. Not even bombs could destroy the life in those seeds. Come Sunday, though, the joke was on them. God’s great surprise exploded into history as the risen Christ walked from the grave, laughing and victorious. This Easter, He invites you to share His laughter and experience His joy. Michael Duduit is Dean of the College of Christian Studies (www.auministry.com) at Anderson University, and Executive Editor of Preaching magazine (www.preaching.com). This entry was posted	on Monday, April 2nd, 2012 at 5:01 pm	and is filed under Misc, Preaching. You can follow any responses to this entry through the RSS 2.0 feed. You can leave a response, or trackback from your own site.